~Harry Potter Forever!~. . Wallpaper and background images in the Harry Potter club tagged: harry potter harry ron weasley character potter hermione granger. 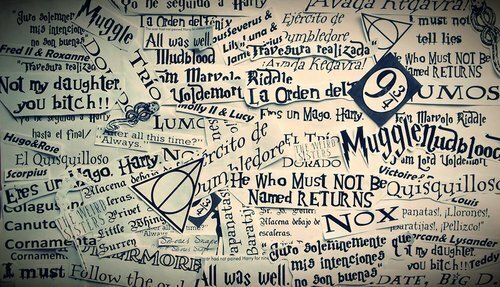 This Harry Potter photo might contain segno, manifesto, testo, lavagna, poster, giornale, carta, riviste, tabloid, straccio, and rivista.